On Monday, the Supreme Court ruled against Texas' House Bill 2, a measure that would have closed all but 10 abortion clinics in the state. This marks a huge victory for reproductive rights, and a few significant quotes from the Whole Woman's Health v. Hellerstedt decision reflect this. The majority opinion, read by Justice Stephen Breyer, is part of a 107-page document, so I've gone through and picked out some of the most important bits. The Supreme Court ruled 5-3 against the bill, which would have required that anyone performing an abortion have admitting privileges to a hospital within 30 miles (which many hospitals refuse or take months to grant) and that clinics meet the strict standards imposed on surgical centers (even though abortion is not a surgical procedure). This would have made the process of getting an abortion more logistically difficult, and since Roe v. Wade prohibits states from outlawing abortion, the court considers laws severely limiting this right to be unconstitutional. 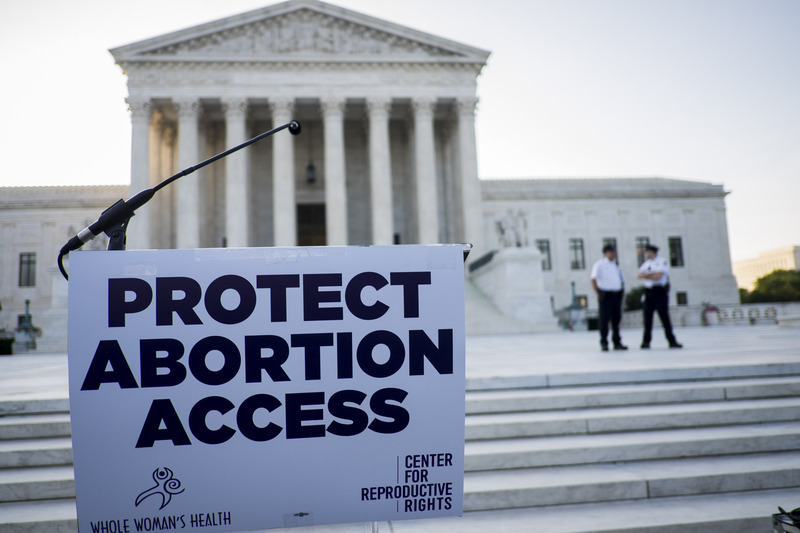 "Both the admitting-privileges and the surgical-center requirements place a substantial obstacle in the path of women seeking a previability abortion, constitute an undue burden on abortion access, and thus violate the Constitution." "We agree with the District Court that the surgical-center requirement, like the admitting-privileges requirement, provides few, if any, health benefits for women, poses a substantial obstacle to women seeking abortions, and constitutes an 'undue burden' on their constitutional right to do so." "There is considerable evidence in the record supporting the District Court’s findings indicating that the statutory provision requiring all abortion facilities to meet all surgical-center standards does not benefit patients and is not necessary." "We conclude that neither of these provisions offers medical benefits sufficient to justify the burdens upon access that each imposes. Each places a substantial obstacle in the path of women seeking a previability abortion, each constitutes an undue burden on abortion access, Casey, supra, at 878 (plurality opinion), and each violates the Federal Constitution."